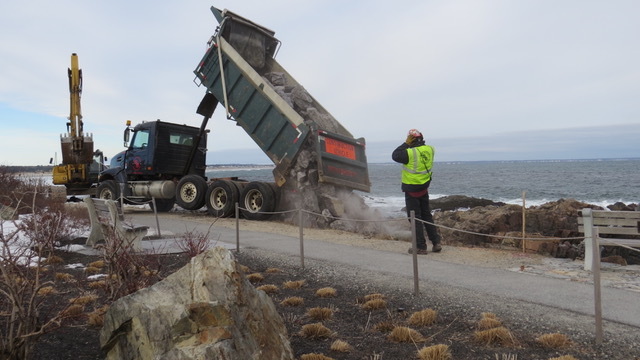 The Marginal Way has been closed this week so that Shaw Brothers can safely replace miscolored stones on part of the revetment along the walkway. We will be keeping you posted on our blogs and social media. Although construction will likely be halted on Wednesday due to the storm, the construction is expected to be completed by Friday. 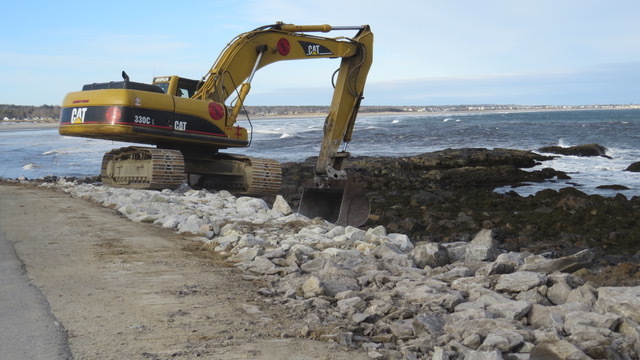 Walking the Marginal Way during the construction as well as during the snow is strongly discouraged. During the winter season, the walkway is not cleared or maintained and walking can be hazardous. 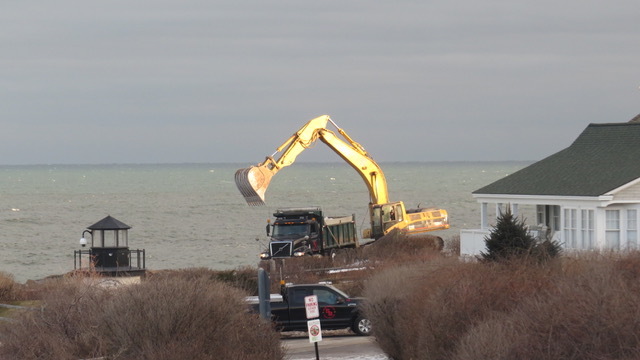 Please stay safe and avoid walking the Marginal Way. Meanwhile, here are some photos of the work that has started today.